Been musing over this over the last few months. To trash flawed lines of reasoning/belief. No argument on the idea, I just don't know if this is the place for it. It is kind of pushing the edges out. The want ads in the Peninsula Daily Snooze. What I love about this is that it shows something I've suspected for some time, that there is no such thing as the chaos of Chaos Theory, that the so-called 'chaos' does actually have a pattern, a divine order - but that pattern is so huge, and we're so small that we cannot perceive it through our Newtonian spectacles. But here's why I think the subject of fractals fits in here. 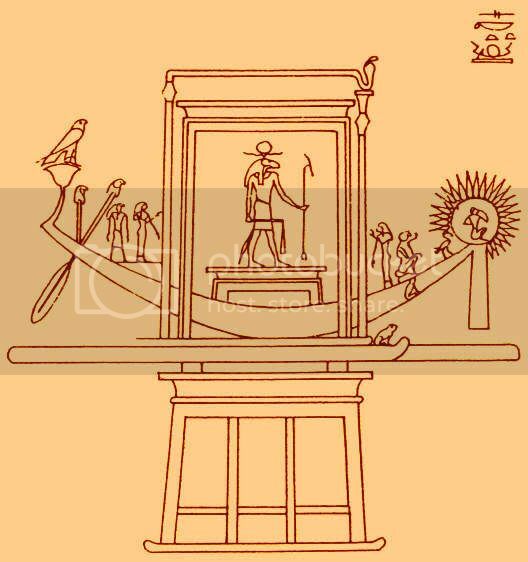 For instance, Noah's Ark derives from a much older Egyptian myth (the Ark of Nnu) which is a metaphor for an arc for which the Egyptians had a mathematical formula, and that arc is so named because it is the arc that is traversed by the 'arka', the Sun, or Sun boat, as it plows its course across the universe. The Dionysiac Architects went on to use these mathematical equations to construct their 'as above, so below' temples that reflected the divine order and geometrical proportions of the cosmos. So my view, from practising shamanism and studying mythology, is that in fractals or quantum mechanics or plasma science, we are not discovering anything new. We are rediscovering what was once known to the ancient priestly classes - for instance, Pythagorus knew about fractals. And the exciting part for me is comparing this rediscovered science to what we are told in the myths, which are like messages in a bottle coming to us across the oceans of Time. So set the controls for the heart of the Sun. Information please. If the ancients believed there to be a mathematical or patterned basis to the world then how did this belief manifest itself in anything useful? Was it purely a religious/spiritual thing? Knowledge for its own sake? Intellectual mind games? Is this a a stupid question? Please ignore if it is. It is a stupid question. A knee-jerk response to the idea, which I cannot digest, that ancient stories (dignified by the label 'myths') are something more than stories. Best forget it. Grumpage wrote: It is a stupid question. A knee-jerk response to the idea, which I cannot digest, that ancient stories (dignified by the label 'myths') are something more than stories. Best forget it. No question, by definition, is stupid. If questions were stupid I would be dead long ago. May be demonstrated by a fractal equasion. Can be demonstrated in the same manner. In what appears to be an unified field. I knew of Chaos theory. An entire new level of awareness came on. I'm thinking that you do actually want an answer ... otherwise, you would have just deleted your original post. You seem surprised that we look to myths to understand historical man's beliefs about the universe and how he measured his place within it. To be frank, I'm surprised that you're surprised, as studying these stories in this way has gone on for probably more than a hundred years or so, in universities and elsewhere, and it is a recognised discipline, even if it is a slightly fuzzy one. But to your question about what use the knowledge was put to, can I turn the telescope the other round? Stories are told in the Indian Vedas that show us that the Indians (around about 3,000 BC) knew the circumference of the Earth, and how far it was from the Sun. They also knew, long before Copernicus, that the earth went round the Sun and not vice-versa. It's said that necessity is the mother of invention, and so mathematics was originally developed by the Indians during Vedic times out of astronomy's need for it. At that time, astronomy and astrology were not separate disciplines, and the magnetic effect the planets had on the earth as they progressed in their cycles was studied and recorded by the shamans and priests. All of the elements, and especially the planets and constellations, were given the forms and characteristics of gods and goddesses. And stories were passed on orally about these celestial bodies to encapsulate their nature and the dance of their existence. Many scientific laws have come down to us in this way, including the Egyptians' measurement of the arc of the 'arka', the sun's course. John mentioned the Golden Rectangle - this is just one use that the knowledge was put to by the (later) Dionysiac Architects and even later than that, the Masons. They would base their designs upon the equations used in Nature, because it was understood that the proportions used in the natural world were most aesthetically pleasing to beings who were also constructed of the same proportions - which is why certain forms resonate with us, and we consider them beautiful. The same for certain pieces of music. Bela Bartok's Music for Strings, Percussion, and Celesta was structured using these principles, in the form of the Fibonacci sequence of numbers. So in this thread, we are going to be discussing fractals and Chaos Theory, as it seems to be - just like heliocentricity, plasma physics and quantum theory - one more example of our only now catching up with the scientific thinking of our early ancestors (or at least, Pythagorus!) that has been recorded in these stories that have been handed down to us. Hope this helps your digestion! Last edited by Ishtar on Fri Oct 31, 2008 1:53 am, edited 1 time in total. Interesting cross over between the quantum power of intention (aka Bell's Theorem) and the Strange Attractor (will) of chaos theory. John - took one look at your references and ran a mile; it's just too much to take in with everything else that's going on; but thanks anyway. BUT if you know of a reference that applies fractals to history or the academic pursuit of history or the philosophy of history . . .
Ishtar wrote: I'm thinking that you do actually want an answer ... otherwise, you would have just deleted your original post. After giving this careful consideration I have decided that you are wrong. Permit me to gracefully withdraw. May the Chaos be with you. This post may not make perfect sense and is 'fuzzy', even for me. But on seeing Mandelbrot's geometric representation of his equation for "fractal reality" aka infinity, I was reminded of the Eastern Om or Aum symbol, which also represents infinity. This is a Bangla Aum sign (from Bangladesh). 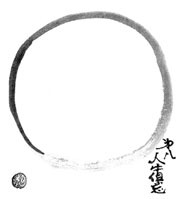 I have deliberately chosen a simple rather than a more stylised version of the Aum symbol, to make the point. Some of them are more complicated. And this is Mandelbrot's in action, carrying out the calculation for infinity. Here is what the 4,000 year old Indian scriptures say about the sound, or vibration, Om or Aum. "The goal, which all Vedas declare, which all austerities aim at, and which humans desire when they live a life of continence, I will tell you briefly it is Aum. "The one syllable is indeed Brahman. This one syllable is the highest. Whosoever knows this one syllable obtains all that he desires. "This is the best support; this is the highest support. Whosoever knows this support is adored in the world of Brahma." (1.2.15-17) Katha Upanishad. "The udgitha ["the chanting", that is, the syllable om] is the best of all essences, the highest, deserving the highest place, the eighth." Chandogya Upanishad. "tasya vacakah pranavah" which translates as, "God's voice is Aum." Yoga Sutras of Patanjali. The 'God' here should not be confused with the Hebrew God Yahweh, or even the God as the First Cause who winds up the Newtonian clock and then sits back to let the mechanism take over until it runs down and stops altogether. Newton's principles are dead, as far as I'm concerned anyway. The God or Brahman referred to in these Vedic writings is a pre-Old Testament and pre-Newtonian God - which is also fast becoming a post-Newtonian one too. This God cannot be the First Cause or the Creator, because it exists in the fourth dimension, the quantum dimension, which is beyond Time. So this is a God who was, is and will be - and according to fractal or chaos theory - will be whatever we want it to be, according to our free will and the power of our intention, which exists in the quantum. The chaos theorists call this God the Strange Attractor. In keeping with recent posts of mine on the subject of attraction, I will be calling this God the Strange Magnetiser. The Strange Magnetiser is not a jealous God. So when "Mary" sang to "Him": "My soul doth magnify the Lord", maybe she meant something different entirely to how we've been taught to interpret it. "God's voice" is the sound of infinity. It is the primordial sound or vibration, Aum, underlying the philosophy that man is made in the image of God - to the extent that man has free will and he is God, or god, or that which is I AM. This is the true God particle - and God wave too. John , complements on throwing out such a wide net to see what it brings in. Ish, always love your cross-cultural connect the dots, with archival backup and pictures. Haven't read John's, 40 Page PDF yet, as I am saving it for an upcoming train trip with yellow Marker. Am currently looking at the ever reoccurring Mendelbrot fractals as not having any substance or meaning per se other than being a fingerprint of the halographic connectivity of it all. The chaos theorists call this God the Strange Attractor. In keeping with recent posts of mine on the subject of attraction, I will be calling this God the Strange Magnetiser. "Strange Attractor" speaks of a center, implying an inner/outer dichotomy which this afternoon does not sound all that inclusive. I look forward to hearing more about "God the Strange Magnetiser"
....speaks of coherence and resonance. Did the theorists think to call it "Chaos" because they were stuck in a room too small to back up for the larger view. woodrabbit wrote: John , complements on throwing out such a wide net to see what it brings in. And hard to curry beneath the knees".